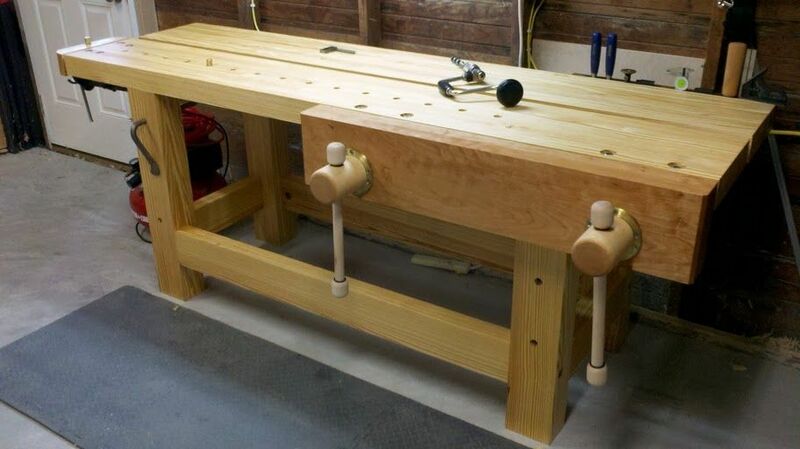 Adding our June 2011 Workbench of the Month from Jonathan W. of Austin, Texas to our Lake Erie Toolworks Blog for ease of access and historical awareness. 4) Each half still fits through my planer if I ever needed to re-flatten that way. During the construction I found it easier to just hand plane it flat. The pieces are too big and heavy to easily maneuver through a planer. 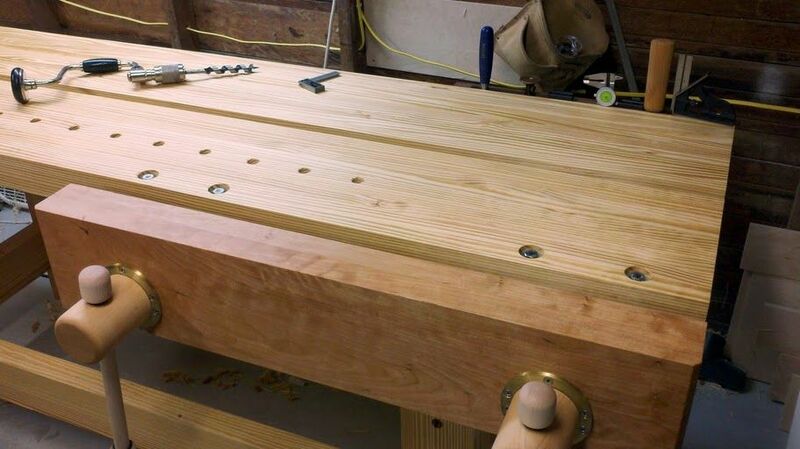 I still have to build that tool holder / planing stop piece to really take advantage of 2) + 3). It’s made entirely out of SYP except for the twin screw vise chop which is cherry and the tool holder on the back right corner which is walnut. The top is connected to the legs with lag screws. The two end assemblies are glued and pegged mortise and tenon joints. 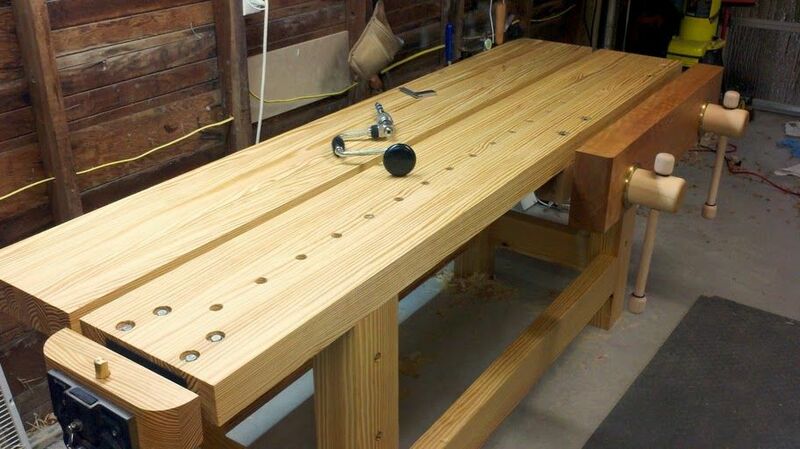 The long front and back stretchers have tenons that fit into mortises in the end assembly and use bench bolts so that I can take the bench apart if needed. I finished it with 3 ragged on coats of danish oil.